A roof is a roof, right? The same materials and work that go into building the roof on your home are the same that go into building a commercial building… right? Nope. But don’t worry, this is a common misconception. There are roofing specialists in both residential and commercial roofing, as different materials and designs are used for each project. The roofing industry is a lot more complex than you’d think, and we here at S&S Roofing are ready to dish the details. At S&S Roofing in New Jersey, our team of professionals have more than 30 years in commercial roofing, and we know exactly what goes into building a top-notch roof. We serve many different cities along the east coast, including New Brunswick, Newark and Edison, N.J. Give us a call today and let us help you with your next commercial roofing project! Here’s Part One of a two-part series explaining the basic information (who, what, when, where and why) of what you should know about commercial roofing. We’ll go over the “who” and “what” today. To state the obvious here, commercial roofers. But these professionals typically differ from other types of roofing experts in that they specialize in commercial properties, such as warehouses and shopping malls. These professionals know the different types of commercial roofing materials that are necessary for a well-functioning roof. Thermoplastic Polyolefin (TPO). This is a relatively affordable, lightweight material that helps reflect sunlight, keeping your building cooler. Ethylene Propylene Diene Monomer (EPDM). 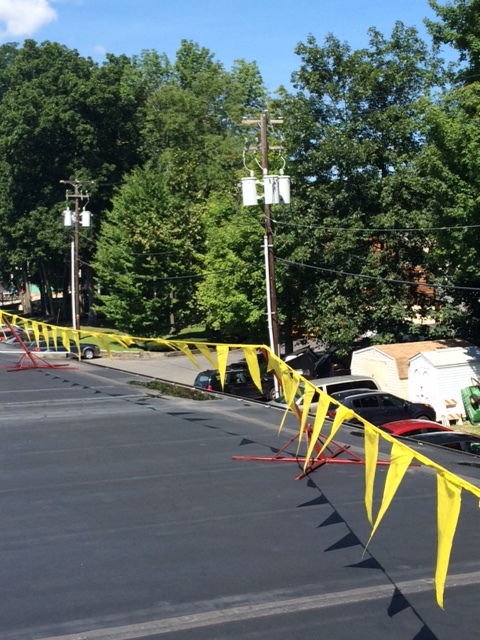 Otherwise known as rubber roofing, this is an easy-to-install and durable material for your commercial roof. Polyvinyl Chloride (PVC). Roofs with this material will have two layers of it with polyester in the middle as a reinforcement layer. It’s stable against the sun and is also fairly flexible. Spray Polyurethane Foam. A form of plastic that turns from liquid to solid right before your eyes. An energy-efficient option for your roof. Solar Panels. These provide sustainable energy, as photovoltaic solar panels are typically installed over a rooftop to absorb sunlight into energy. Green Roofs. These have some sort of vegetation and soil planted over the waterproof layer of a commercial roof. It’s cracked, curling or has holes in it. We don’t mean to avoid this question, but it really depends. If you’re installing a brand new roof, it depends on the type of roof you choose and how large you want it to be. If you’re replacing your current property’s roof, it depends on those same factors and if there’s any prior damages on your existing roof. According to Fixr, the national average for a flat roof installation is between $4,000 and $5,000, with rubber membrane roofs being on the higher end at $2-3 per square foot. At S&S Roofing, we can provide you with a free quote on all repairs and services. 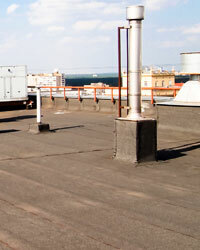 We’ll make sure your next commercial roofing project goes smoothly and is done properly. To get a speedy fast quote or to schedule an appointment with our team, call us at (732) 983-5476 or fill out our online form. 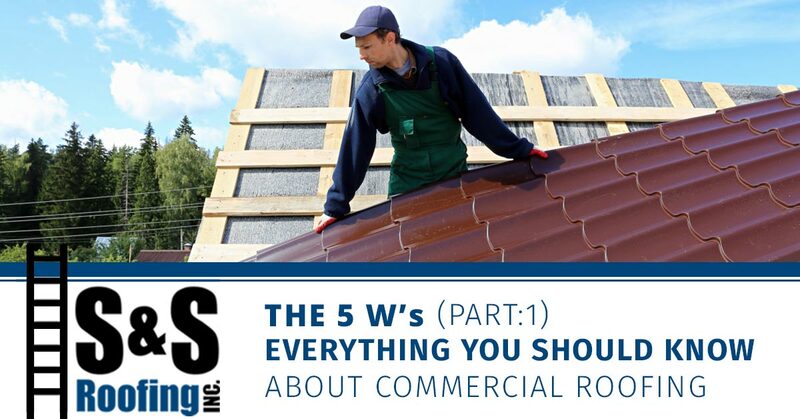 Find Part Two of this blog, where you’ll learn about the when, where, why and how of commercial roofing, right here!